Andy Surabian, who was Steve Bannon's political adviser in the Trump administration and a campaign veteran, has decided to leave the White House. He will become a senior adviser to "Great America Alliance," the allied group to "Great America PAC" — a major pro-Trump super-PAC, run by Republican operative Ed Rollins, which raised more than $30 million for Trump's election. Between the lines: Bannon took a liking to Surabian on the campaign when Surabian ran the (very understaffed) Trump war room. 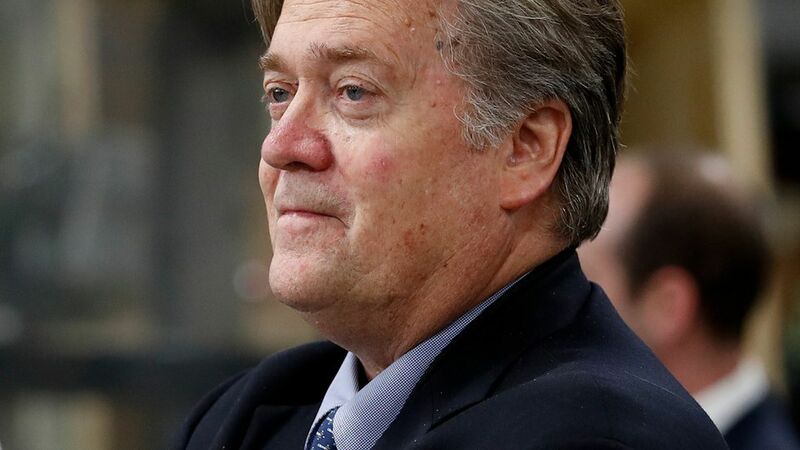 By installing his top political adviser in such a senior role in the Rollins' outside group, Bannon is tagging the outfit as his financial vehicle to take on Republican leadership in the House and Senate. Why this matters: Bannon is close to some of the biggest anti-establishment donors in conservative politics, including New York billionaire Bob Mercer, Home Depot co-founder Bernie Marcus and tech billionaire Peter Thiel. Bannon and Surabian have been privately discussing supporting anti-establishment primary challengers in the 2018 Senate races in Nevada and Arizona. Bannon is expected to support — through Breitbart and the outside group — Danny Tarkanian in Nevada. Tarkanian, an attorney and well-known conservative activist, is the son of legendary UNLV basketball coach Jerry Tarkanian. The Mercers have already put $300,000 into a super-PAC supporting Kelli Ward, who is challenging GOP Sen. Jeff Flake in Arizona. What's next: Expect the Rollins group to launch a "full-on assault against GOP leaders who they deem insufficiently supportive of the president's agenda," a source familiar with the group's planning said. Surabian, who was political director for "Tea Party Express PAC" before joining the Trump campaign and becoming special assistant to the president, is also expected to be involved in every other aspect of Bannon's new projects.